it has been nothing but a whole roundabout today, and the physical laws of circular motion has certainly sent me spinning off axis, leaving me with a whopping migraine to fix. 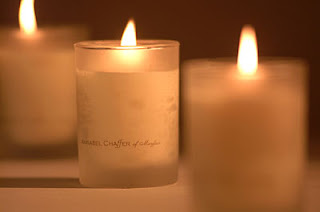 was the usual nightly handyman and personal assistant to someone close who had to have a miniature interior makeover due to an overwhelming need for a change of fengshui due to the lack of "feel". not exactly my personal favourite project to embark on, but it was not half bad by the end; like five in the morning. nevertheless, it is not something that would be attempted again for the sake of self preservation and one's sanity. serves me right for playing the good hearted samaritan, as it landed me a huge cab bill at the end due to having to make a roundabout trip come daylight when a text came in for me to head down for a casting at some godforsaken, transoceanic, possibly rinky dink place. did what had to be done and scurried back by the pocket burning cab to get a bath, change of clothes and bagatelle. with the minutes slipping by and seconds ticking away, the ineluctable option was ordained, and blitz away in a cab it had to be. big fat shot in the foot it was when it was found that this outlying no good sequestered place was just walking distance away from the remote outskirts of god knows where. the worse part was how the annoying cab driver had made an elephantine detour to get there. in short, Hobson's choice is a real pain in the neck. what goes around comes around, that much is true. someone close recently blogged about it, and it jogged my memory of long ago of this child's tale about passing on that bit of kindness. in spite of cabs being the root of my misery for the day, it was also the charitable gesture of an altruistic cabbie, amongst many other phenomenons, that lifted the disconsolate spirit. for the record, it was a she. she had given me a lift to the main road though she was not able to take on the job after incidently having flagged her cab down; saving me from walking under the scorching sun, in which she inadvertently also saved me from the probability of passing out from the baking heat. despite the fact that am somewhat a vampire, am not an overly poor daywalker, and certainly no pansy cream puff that needs to be mothered as such. nonetheless, the beau geste is very much appreciated. to sum it up in a word, nice. my cabbie for the trip to the casting was another bag of beans altogether. his mannerism and driving reminded me of cabbies zipping in the big apple. 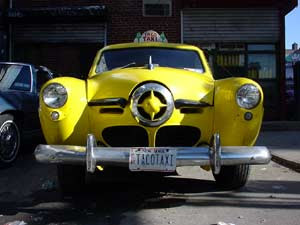 on that note, undoubtedly would not mind taking a ride in a vintage yellow cab. the feel of old is just modernistically far out and smacks of bohemian rad. on the other hand, one cannot run away from time and age, for it will, in one way or another, catch up with you, at some point. no matter how well the maintenance, the vintage yellow cab would eventually end up as scrap metal when it is done with its final few miles on the road, sad as it is. as this entry is being typed and recorded in the modern archives of the world wide web, someone close is travelling the long distance to pay the imminent final respects to a loved one who has walked to the end of her road, a hundred and two years of it, and drawn her last breath just early this morning. having lived that long, it is with hope that she has lived a full life and has gone on contented, and peacefully, to embark on a new journey in another world; a world where pain no longer exists, happiness is all about, and where she could walk on sunshine perhaps?